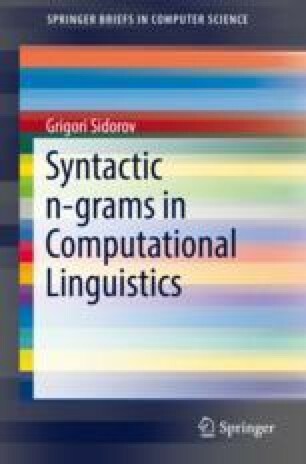 As we mentioned earlier in the book, in the automatic analysis of natural language (natural language processing, NLP) and in computational linguistics, machine learning methods are becoming more and more popular. Applying these methods increasingly gives better results. In this chapter, we describe the design of experiments in computational lingusitics: problem – corpus – gold standard – feature selection – dimensionality reduction – classification – evaluation (k-fold cross validation).